Powered by a 12-horsepower steam engine, a 40-foot, shallow-draft scow ran daily from Seattle’s Madison Park up Lake Washington, delivering passengers and freight. 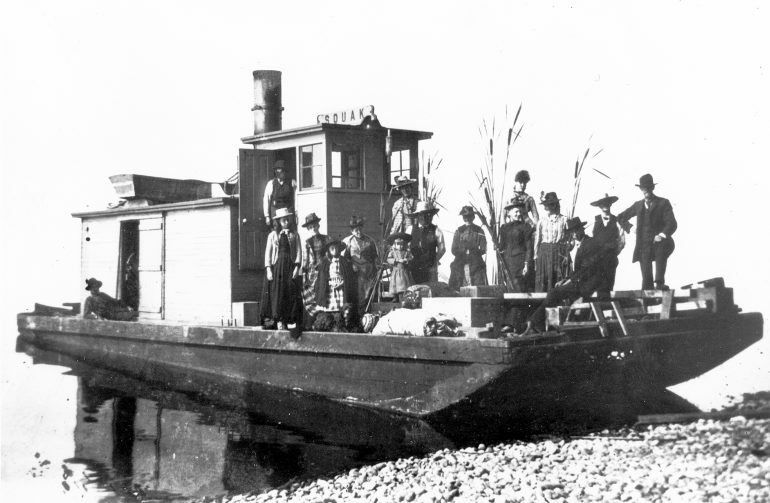 The Squak also was the first passenger vessel to operate on Sammamish Slough, serving Bothell, Woodinville, Redmond, and Issaquah. The trip from Seattle to Bothell took about six hours, and another eight hours or so to Issaquah.